With the NSA leaks, Target data breaches, and Heartbleed, it's about time someone hacked into "The Little Dinner Party." This special hacked edition brings things down a notch to a simple, vegetarian staple: salad. Also known as vegetarian cereal, a salad is a bunch of veggies tossed with a tasty dressing and forked into your mouth. A popular choice for first dates, business lunches, and rabbits, salads are a healthy, hearty way to say "Hey, maybe we should start going to the gym." 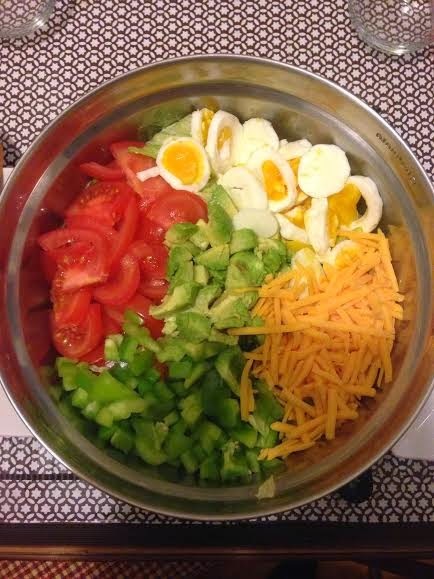 A woman once said all the ingredients in a salad should be able to fit in a single bite. This was a woman who enjoyed boring salads. 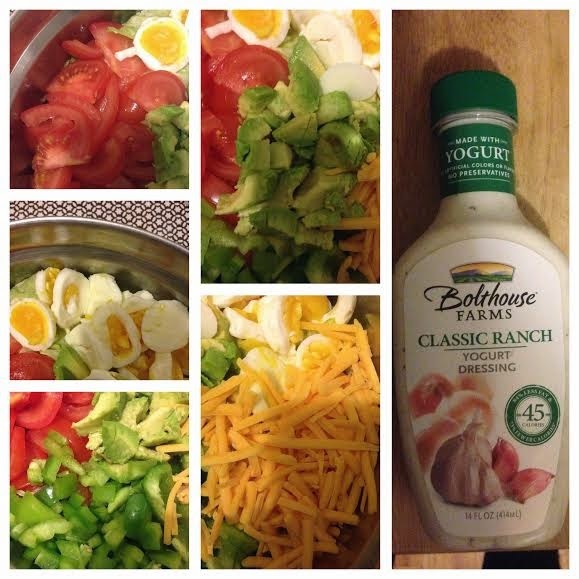 This Egg & Avacado Salad is a healthy, protein-packed way to spend your dinner. 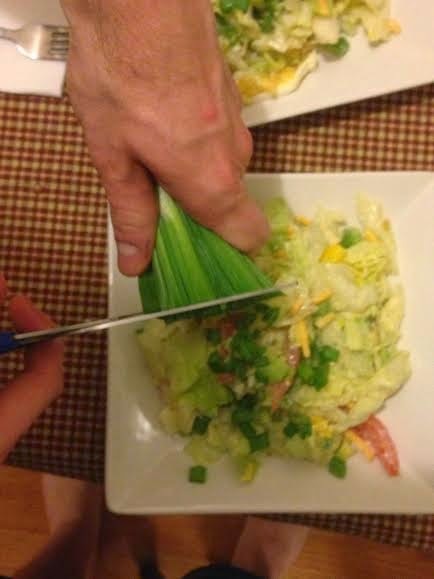 Step 1: Chop your lettuce. Step 2: Chop your green peppers. Slices of quarter-inch cubes – go wild. Step 3: Bring a pot of water to a rolling boil. Waterboard the eggs (the "security" theme continues…) for at least 8 minutes or you'll have a soft boil. Or salmonella. Step 4: Chop your tomatoes. Step 5: Half your avacodo, scoop the good stuff, and dice it. Step 6: Combine all the veggies, along with a healthy portion of shredded cheese in a bowl. Step 7: Drown your veggies in ranch dressing, toss, and servce. You're done! Step 8: Your boyfriend comes home and lets you know it needs green onions, some crushed up tortilla chips, and pepper. P.S. No intruder's supper is complete without a seasonal treat from a corporate chain. These Dunkin Donuts™ Peeps™ donuts taste just like momma used to buy.